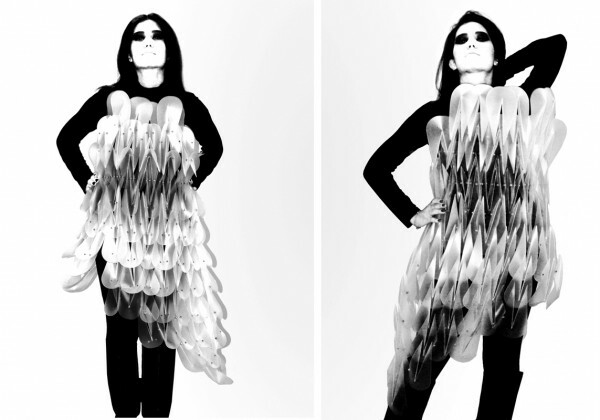 Inspired by Japanese origami techniques, we took up the art of folding for our new researches of responsive folding fashion collections. With delightful details, we occasionally flirt with the spirit of couture. 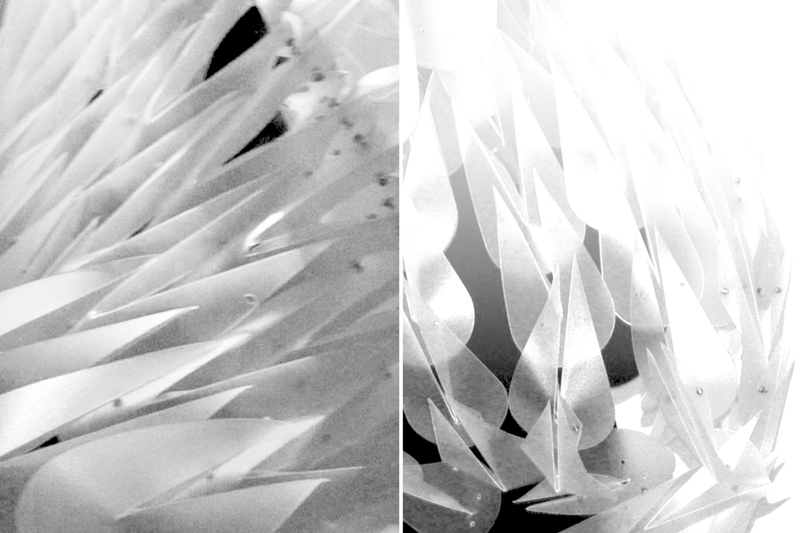 To admit I wasn’t even aware that anything could look this good by way of folding and kinetic. 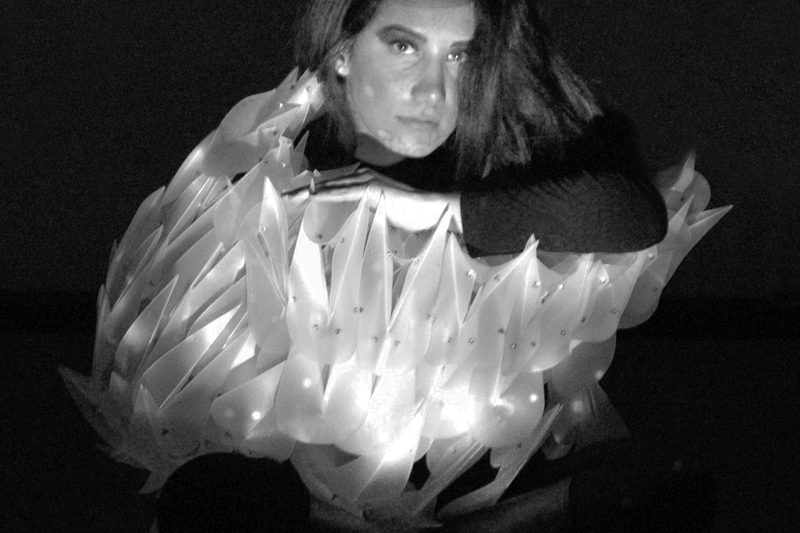 It was first based off of a responsive skin design that the students made and created at the responsive skin III workshop of MAGLAB and then adapted to fit a human body. 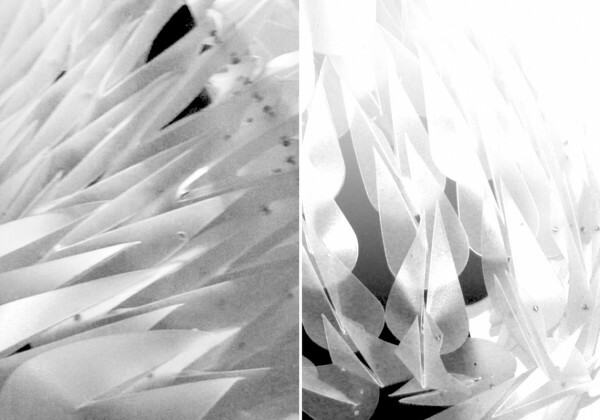 Kukkia, explores the intuitive act of folding, such as origami, used with technologies in art and architecture in finding new forms. The multiple replications and geometric protrusions prevailed through our origami play through Kukkia, emphasize the contemporary of art and architecture. The ultra modern look with precision-laser cut pieces that update the silhouette, as the Origami-style folds give a harder-edged and futuristic vibe to body contours. 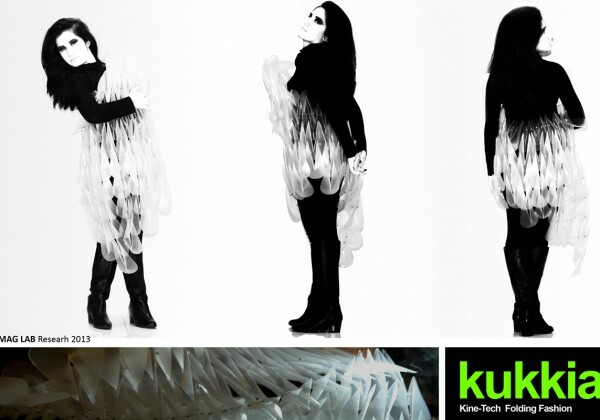 The influence of paper folding in fashion re-emerges in Kukkia as fantasy clothing fashioned out of different selected materials with usage of technologies. There are many forms/styles as those in the photos, so you can use any combination that you feel suits the look you’re going for. 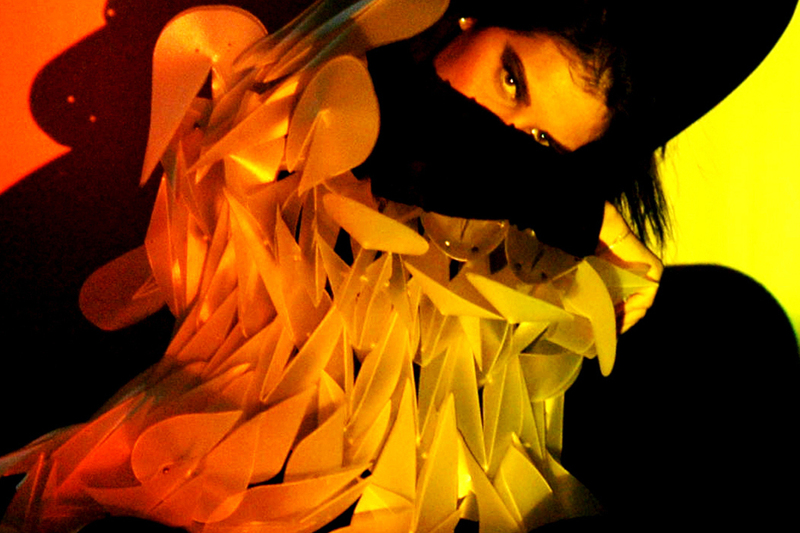 Each piece we developed can be worn in multiple ways, transforming the wearer into entirely different looks. At the ease it takes a model to switch from one look to another, right before our eyes. There’s no need to run into a dressing room and take off apiece here and there. 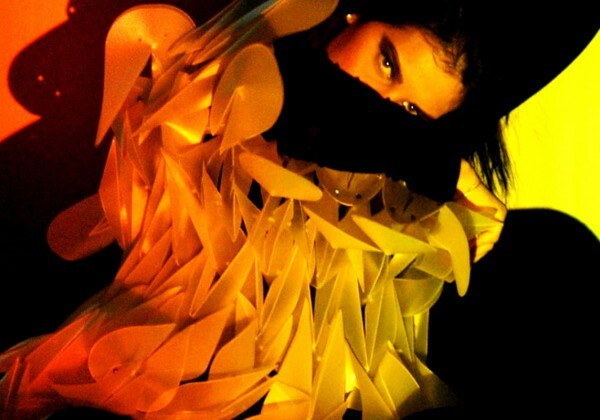 The clothing can be unhooked, snapped, undraped or flipped into a different look. Kukkia is a convertible fashion that elevates styling by going beyond simple draping a piece of fabric to create various looks. 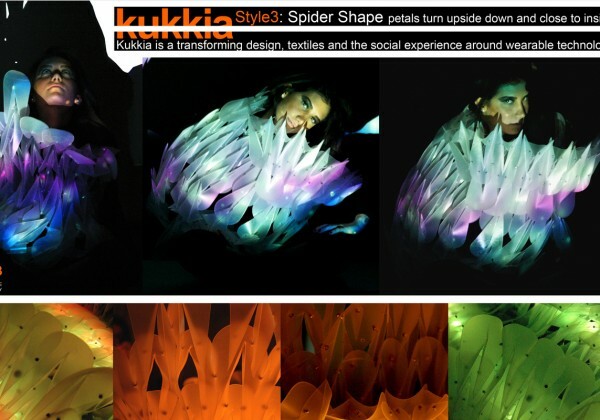 Kukkia is a transforming design, textiles and the social experience around wearable technology that Dreams that the possibilities of living technology as a future where design, art, architecture and even fashion will be radically changed. 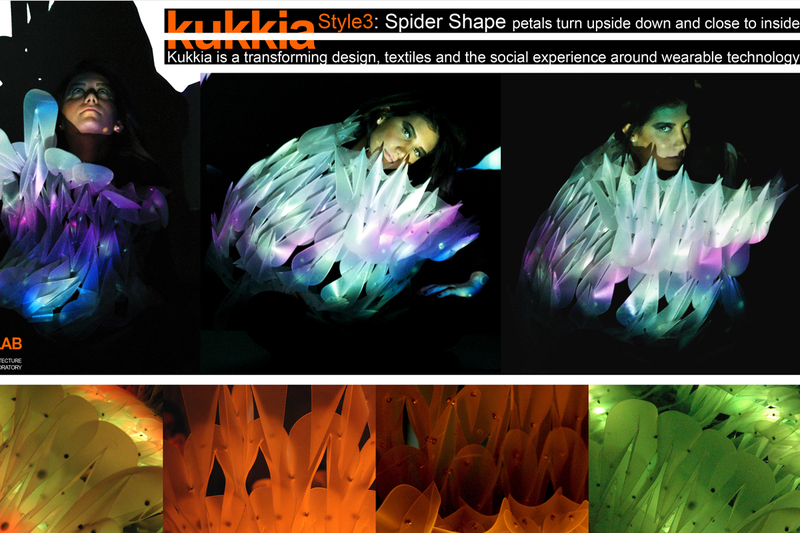 Kukkia diverse in terms of shape, structure and materials. Kukkia and architecture are more than casual acquaintances. 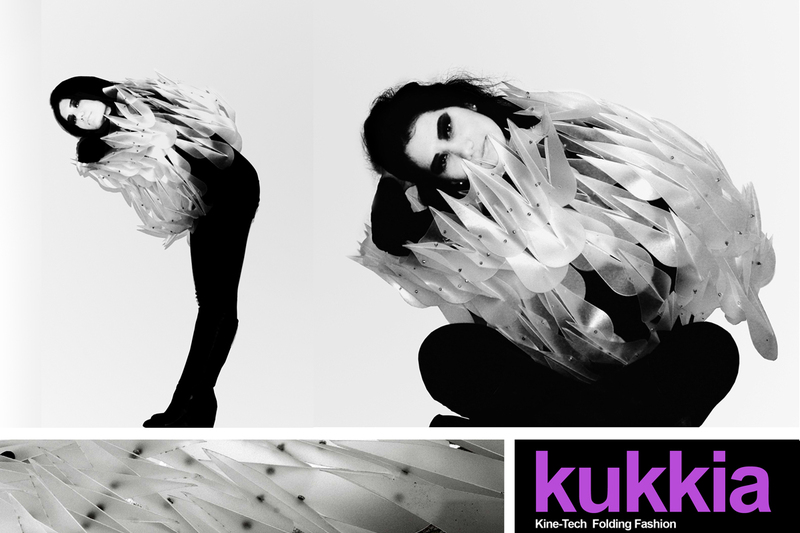 We consider Kukkia as a form of self-expression and a research that could be applied to the possibilities of fashions future. How it works: Movement: Kukkia opens and closes, following a movement of real scale human body … Ultimately, will provide biofeedback on a user’s meditation state — as a user’s meditative state changes, the petals of the flower could be opened up or closed, the dress changes from style to another. 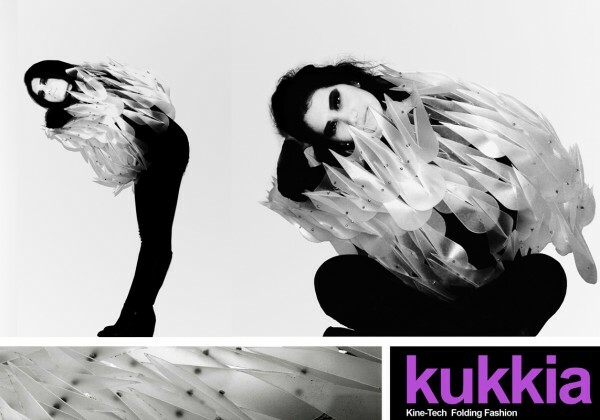 Kukkia as Boditecture lets the wearer have the opportunity to broaden their creativity and become their own best stylist! 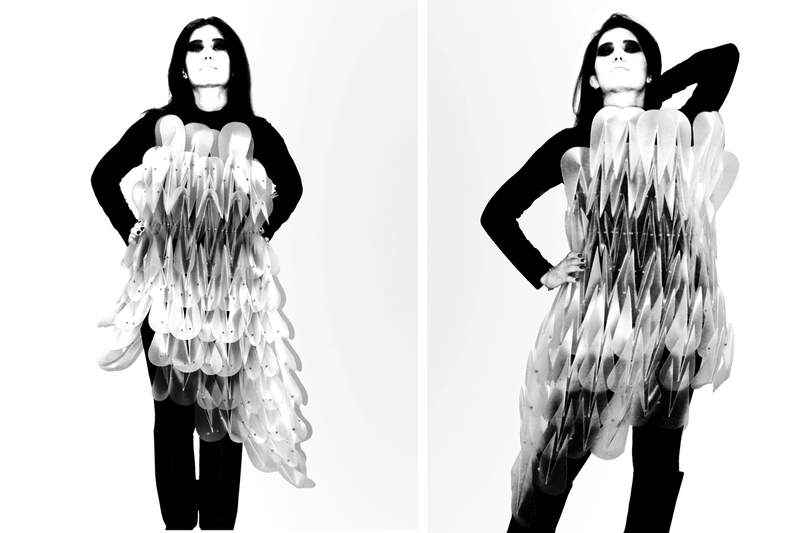 The design included one central servomechanism consisted petals of the dress ”the folded material”. The servos would have 180 degrees of rotation, which was just enough to transform the sculptured dress from flower shape (petals upright) to spider shape (petals upside-down). We set the petals “the folded connected material” to have 180 degrees of rotation from up and down like originally planned. This allowed for some pretty interesting motions between different styles. 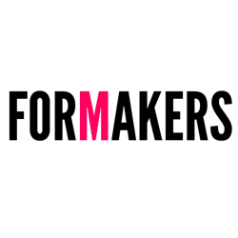 Professor of architecture, College of architecture, fine arts and design. 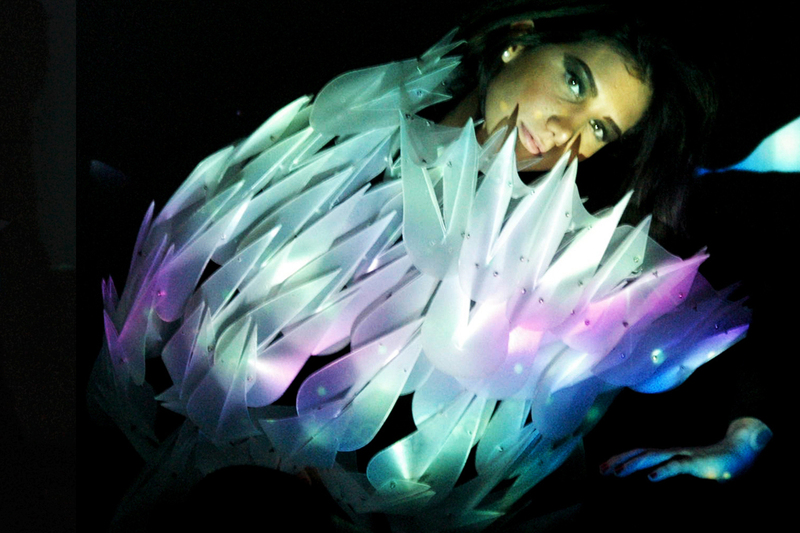 Assistant professor of Biodigital Master and PHD program, EsArq - UiC (Universitat Internacional de Catalunya), Spain. AIU Students "Arab International University"